Hyundai Marine & Fire Insurance Co. Ltd. has recently committed €50 million ($53 million) to a €7 billion buyout fund which British private equity firm BC Partners LLP is in the process of raising, in a rare investment by a South Korean insurance company in a single buyout fund. Another South Korean insurer NongHyup Life Insurance Co. Ltd. is considering investing in a hedge fund around later this year, which may make it the first insurer in the country to commit to an offshore hedge fund. Domestic insurance companies, with a combined asset of 1,022.7 trillion won ($892 billion) at end-September 2016, are joining in the ranks of global insurers and pension funds embracing riskier investments, supported by eased regulations on cross-border deals and with experience in overseas investments built in the past few years. They have already begun to increase the portion of longer-dated, better-yielding overseas alternative investments such as commercial buildings and senior debt backed by real estate, which are categorized as mid-risk mid-return assets and deliver an average return of 4 to 6% a year. But the share of high-yielding alternative assets remain low, with government debt and blue-chip corporate bonds taking 70 to 90% of their assets. They are now trying to take on more risks which could lead to the loss of their principal, and entering uncharted territory such as debt financing arrangement. NongHyup Life had recently arranged a $550 million joint investment in senior secured debt of a skyscraper in Manhattan. “The only way to cope with the new insurance accounting standard, IFRS 17 and to push returns higher is to expand overseas investment,” said Jae-sik Kim, vice president and head of Mirae Asset Life Insurance Co. Ltd.’s asset management. “We will put about 350 billion won in fresh investment in overseas alternative assets, including real estate and infrastructure, this year,” he told the Korea Economic Daily in a recent interview. The planned adoption of the IFRS 17 in 2021, which applies market-based valuations on liabilities, will lead to lengthening their liabilities, while domestic government and corporate bonds carry relatively short maturities. Still, currency risks of overseas assets and uncertainties about new capital requirements for insurers’ equity investments leave some Korean insurers hesitant to push aggressively into alternative assets. In the case of Hyundai Marine’s investment in BC Partners’ buyout fund, the 12% risk coefficient will apply to the calculation of its risk-based capital ratio. But Korean insurers have been becoming more confident about cross-border investments with accumulated experience and started to take a long-term view on offshore assets, rather than focusing on short-term returns. Hyundai Marine, determined to expanding investments in private equity funds two years ago, had started investing in secondary funds which buy equity stakes in buyout funds, as well as funds of funds. “The secondary funds and funds of funds are already producing cash returns, so we were able to invest in the (BC Partners’) buyout fund regardless of the J-curve effect,” said Young-cheol Lee, a Hyundai Marine executive heading the company’s investment division. For NongHyup Life, the proportion of overseas assets, albeit weighted toward fixed-income assets, has risen to 20% from 1 to 2% in 2015. 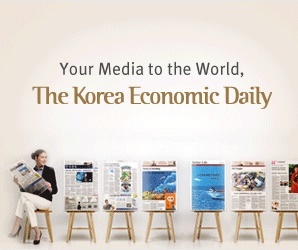 “We thought that we needed to study about the regions concerned and underlying assets by investing in offshore fixed-income assets, before investing in offshore hedge funds,” Hee-seok Kim, NongHyup Life’s CIO, told the Korea Economic Daily. Meanwhile, Lotte Non-life Insurance Co. Ltd. had invested $100 million in debt backed by assets Kohlberg Kravis Roberts (KKR) & Co. was managing at the end of last year. The securitized debt guarantees a 3% return and its return could soar to as high as 7.5%. Hanwha Life Insurance Co. Ltd. had bought a 4.1% stake in US Lending Club Corp., the world’s largest peer-to-peer lender, for around 75 billion won in the market last year.